I’ve always been an enormous fan of monsters. I’m a huge gamer so i’m more than exposed to all manner of bizarre beasts. I prefer games and films with monsters in them; whether they be enemies or friends. Whether it be the countless undead or a fire-breathing dragon, i always seem to prefer them to human foes. Stories about soldiers fighting fantastical beasts are far more exciting to me than soldiers fighting different coloured soldiers. I think this is why i love fantasy RPGs and RTSs so much. I like to see different people’s takes on various creatures. One guys troll is different from another guys. One may be a big humanoid with a huge mouth and a serious odor problem while another may be more along the lines of an elemental force, a walking wall of stone. Dragons. The word will always conjure a very similiar image in ones head. A huge and mighty winged beast, often with a bad temper. I suppose this one was expected. They can be great enemies, simply due to their strength and size. However many stories use dragons as friendly forces, depicting them with immense wisdom and knowledge of the world. However, the thing i love most about these monsters is the sheer variety that people have come up with. Different coloured dragons, various elemental dragons, different sizes, varied levels of intelligence or the ability to wield magic. They can be used to fill any large-monster-shaped gap in a game or film. 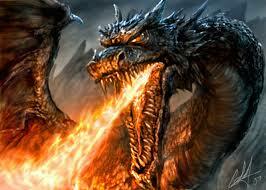 Notable dragons: Alduin from Skyrim, Deathwing from Warcraft, Smaug from the Hobbit. Whether it be a wizards elemental servant or an escaped mechanical terror, I’ve always loved golems. Beings of the elements, made from stone or various kinds of metal, it takes a lot of damage to take down a golem. They’re great enemies and allies, for much the same reasons. They are often immensely tough and destroy lesser creatures with sheer strength and weight. 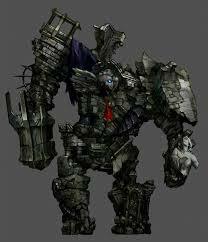 I love that some artists/developers depict golems as mechanical constructs, akin to walking tanks. Golems are not often depicted as being particularly talkative and i like that. I see them as silent guardians of your characters or mute defenders of treasure, even remaining silent as they are destroyed. I love mechanical beings, particularly steam powered ones, so that’s why golems are on my list. Silent beings who can only protect, cool yet miserable in a sense. There are exceptions of course, Shale from Dragon age is of particular note, he/she is probably the most hilarious character in the series thus far. Notable golems: Shale from Dragon Age: Origins, The Tammuz from World of Darkness, Frankenstein. Demons are quite hard to categorize. They’re depicted in so many ways. From Satan-like beings to evil ghosts. Personally i prefer the hellish-creature-who-slaughters-the-innocent kind of demon, the more bestial looking the better. Think Diablo rather than Paranormal activity. The idea of a gargantuan creature wreathed in flame sweeping heroes and armies aside with each swing so damn cool, not to mention quite thematic. Very high fantasy. Or the cruel trickster who simply wants to cause suffering for the sake of suffering. Another reason i like them is the fact they’re so damn evil. Demons are not going to win any awards for kindness. These things exist simply to cause misery and destruction. That’s what makes them so great, they’re the best kind of bad guy. I don’t tend to see any grey areas when demons are involved and i feel that trying to give demons more human motivations ruins them somewhat. So yes, simply for the coolness factor, demons and devils are on my list. 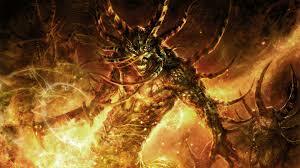 Notable demons: Diablo from Diablo, The Burning Legion from Warcraft, Azazel or Crowley from Supernatural. Now this may seem like a bit of an odd choice. I admit it is a bit ‘out there’ and i do actually find it a little difficult to explain. The idea of a creature that is able to merge with the very darkness around you and use it to hunt its prey is both very cool and very underutilized in my opinion. A completely jet black being that can appear as almost anything, humanoid, animal or something ‘else’. A being able to conjure blades and claws of shadow. A creature that can appear from nowhere and drag you into the darkness or perhaps another dimension. There have been stories of “Shadow men” who have appeared to people and attacked them in real life and the idea of a creature with that power is fascinating to me. 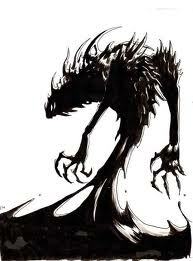 Notable Shadow beasts: The Shadow man from The Twilight Zone, Shadow beasts from Zelda. Yes, you read that right. My favorite mythical beast is the humble goblin. Equal times genius and moron. I love how sinister these creatures can be, shown pillaging and murdering innocent townsfolk or something in one game or film and then they are shown being complete dunces blowing themselves up with some kind of poorly constructed machine in another. They often fight in huge numbers, overwhelming stronger opponents with sheer weight of bodies. This makes them a dangerous force in many kinds of media, though i have to admit i rarely see anything where they are the primary threat to the protagonist and if they are they are often being manipulated by some kind of unknown puppeteer. I like the sheer weight of numbers method of fighting though, it appeals to me for some reason (Maybe I’m Russian). I also adore how often they are shown as flawed geniuses, building amazing machines and gadgets that are prone to exploding or otherwise malfunctioning. It’s like goblins are stupid geniuses, which is a bit of a contradiction and yet it seems to describe them aptly. In universes like Warcraft goblins are shown as inventing machines that almost all races in the world use, despite the apparently “idiotic” goblins that build them. The goblin zeppelins for example. 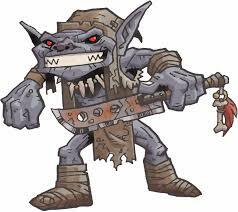 Notable Goblins: Goblins from Warcraft, Goblins from Lord of the Rings, Goblins from Magic: The Gathering. So there you go! My top 5 list of mythical creatures. What are your favorite beasts and why? Care to add anything to the creatures I’ve listed or do you disagree with my opinion? Use the comment section yo! “I often find myself contemplating the motives that drive supernaturals. Do they act under the same influences and needs as us humans? Do they strive for riches, family or beliefs? Perhaps for more devious reasons? Indeed, many of the creatures I’ve encountered have seemed very… human. Sometimes they also appear human but at other times the creatures are very inhuman and yet act for very human reasons. I once encountered a beast that looked like what would happen if you turned a persons torso inside out, added two arms and grafted an iron plate on the front of the”head”. Very inhuman you would say but it transpired that the beast was acting for purely financial means, it turned people into ghoulish drug dealers to pander some weird, unholy drug it had created. A demonic businessman you could say. Granted, it did butcher several working class citizens but it turned out that this was because they were trying to compete with its drug business. Its probably still out there in the streets to be honest. However horrific it may sound, we humans are prone to committing the exact same acts for financial gains. It does make me wonder if these supernaturals are so different from us. However these thoughts are quickly washed away, they must be different right? I really don’t know. I find myself contemplating it a lot and i can’t say there’s ever been a truly definitive case showing that a monster is similar to a man. The monster i mentioned above may of had somewhat inhuman reasons for seeking money. Whats to say it wanted it for the same reasons as us? I’ve tried to be scientific about this and attempted to group the possible motives that may drive the supernaturals . I’ve come up with three groups. These are, of course, only my theories and observations. The groups are: human-like, natural and unfathomable. Firstly, some creatures are absolutely indistinguishable from ordinary human beings. Some may have very vaguely non-human abnormalities; one may have extra large canine teeth, another may have inexplicable hair or eye colours, yet another may have strange blotches on their skin that glow in the dark and yet another may speak in such a manner that you may not be certain they they have ever spoken human language at all. However all of these could be explained away, they aren’t that strange. Genetic defects, diseases and cosmetics are common excuses. These creatures can pass for human (usually) and move about our society without fear of discovery. Often their motives are similar to us as well, hence why they might choose to mimic us. They may be after money, a monster might be the enigmatic and estrange CEO of a corporation that sells pharmaceuticals. Another motive may be love, its entirely possible that a creature may be looking for a human mate or bride and how better to find one than to woo them as a human (even if it may only be a human skin). Yet another possible motive could be they are enchanted somehow by some of our beliefs. A creature may become obsessed with one of our religions, say Christianity. Maybe it wouldn’t be able to think about anything else. I am sure there may be many other possible motives but i think my point is made. Perhaps you can think of some examples? You see, the main point of this group is that they behave like us. They are creatures that mimic our behavior for whatever reason. It is important to note though that some creatures inherently look and act like us, for example a vampire. In this case, their motives are human-like because they were once human. Their motives are entirely like us humans, their reasons also like ours, they do things for the same reasons we would. To become rich, to become famous etc. Also could be called “Beast-like” i suppose. The second group is one filled by creatures that act like nature intended, so to speak. They behave not like us but like animals. Their motives are more primal: they seek prey and food, they wish for territory and they strive to survive, simple as that. These sorts of creatures act on instinct it seems and could be regarded as animals as opposed to monsters. They prowl our cities for prey, they carve out dens in the sewers and they stay away from the public eye. It is odd to label this as a motive, after all it is instinct that drives them regardless of the fact they are supernaturals. Are these beings truly monsters or simply animals that have hidden from us thus far? However i feel it is reasonable to group these types of creature as well. The final group, the unfathomable, is just that. This incorporates those creatures that don’t seem to act for any conceivable reason. Perhaps the creature is so alien and detached and thus thinks in ways we could not possibly. Perhaps the creature is so insane that it is not strictly a motive that defines its actions but instead it just does things. These creatures are simply unknowable and as such their motives are also unknowable. To quickly summarize the three groups I shall mark them very simply here in note form. Human-like- Act like us for largely the same reasons we might. Natural- Act on instinct, much like regular animals. Unfathomable- Acts for reasons we cannot deduce, sometimes seemingly random. That summarizes my theories on the motives of the supernatural. Though i must say that it may not be so easy to categorize the motives of the supernatural like this. Looking back it’d make more sense to judge each creatures motives on a case by case basis. There are too many factors involved to group them so easily. After all, one ghosts search for a lost love would be very different to another ghosts search for a lost love. Can you imagine what it would be like if the rain was a person? Would it be a she? Would she be as kind and soothing as a summer shower? Or perhaps as harsh and bitter as a freezing winter storm? Would she be a friendly mist or a wicked tempest? What would she sound like? Perhaps the light pitter-patter of a shy girl? Or the booming hailstorm of a drama queen? A droning drizzle or a vociferous gale? I’m sure everyone would know her. Who wouldn’t know the rain? Who wouldn’t miss the rain? Who wouldn’t love the rain? Who wouldn’t fear the rain? So i woke up yesterday morning (Well i say morning, i believe it was actually about 1 pm) and turned over to Lee, who had also just woken up. You see, we often have these silly little conversations about how our sleep was and also whether we remembered any dreams we may of had. On this occasion Lee actually had remembered one of her dreams. She did more often than me. Always. The dream she described was both pretty creepy and awesome at the same time. Lee described being given a pumpkin as some kind of gift. That’s bizarre to begin with, but it gets stranger. She said that the pumpkin kept feeling like it was moving slightly. 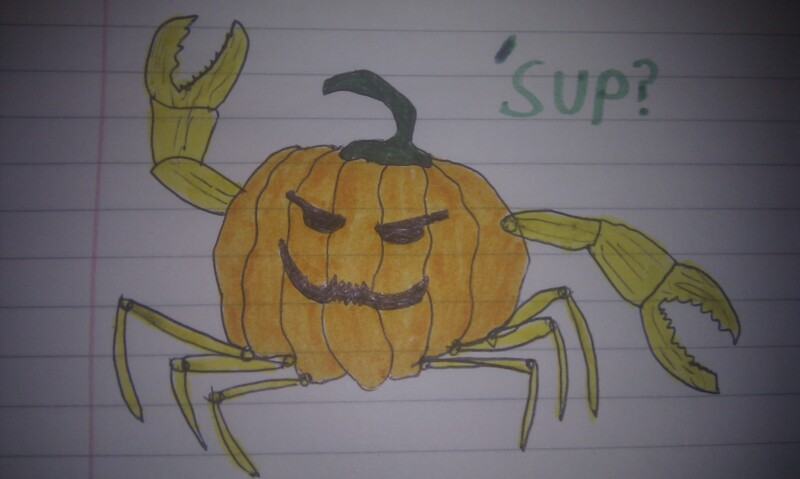 After a while the pumpkin sprouted 6 legs, akin to a crabs and started messing up the house. Lee said she somehow expected it to sprout two arms complete with crab claws. How very bizarre, it’s not even Halloween anymore. The whole reason i decided to hurriedly write a whole blog post about it is simply because of the image it conjured in my head. The image, or something close to it, is the picture i drew here.I think it’s interesting how a description of a fictional creature or object, however vague, can conjure up images like this. I love it! 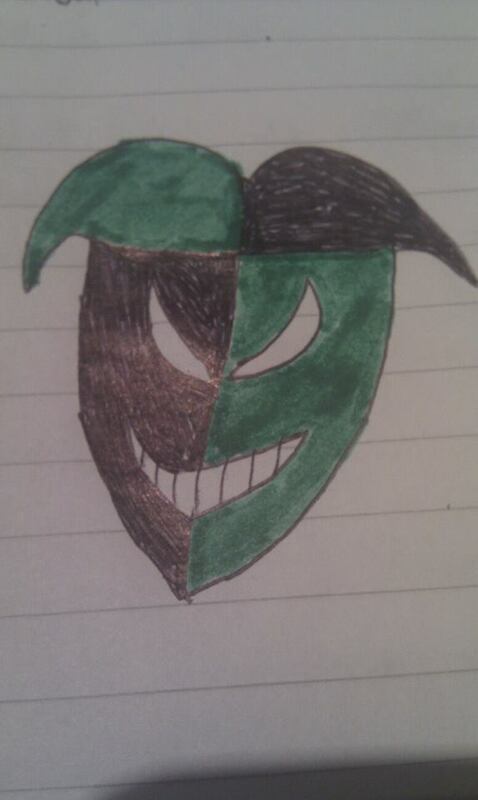 I know i’m no artist! What is a mask but a denial of oneself? Who can say the eyes peering through are truly yours? Who can declare the voice eking through is yours? Masks prevent us being ourselves. They make us become something far more fantastical. 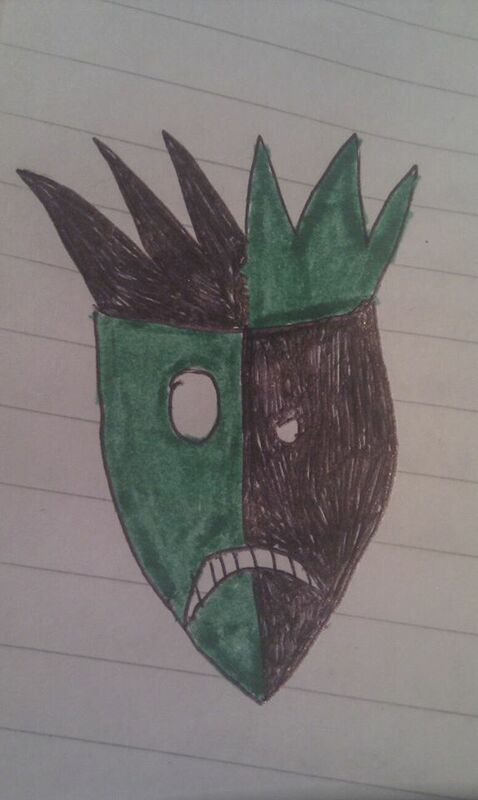 But a mask can never show our true selves. We take on somebody else’s soul. Or maybe even a friends? Masks are a costume for the soul. Not too much to say here, but thank you to all of the heroes (and heroines) who have been lost to us and the heroes who still continue to fight for their countries. I’m far from a religious guy, but god bless you all. Another one from the illustrious Ryan Sargent. I’m not as happy with this one, but it is a bit old so i guess I’ll let it slide. Enjoy! “Like many others, I was born during the Cold war. A time when paranoia and hatred swept us all into a string of close encounters with nuclear war. Obviously i didn’t see it then, but it is ironic that we became so paranoid of each other. Of our own kind. The ironic part is that because of this paranoia we couldn’t see the actual threats to our race: the denizens of the supernatural. The governments propaganda told us to “fear the commies” and to hate the Soviets. Unknowingly they had given the dark things a scapegoat. No one will fear vampires when they’re in an uproar about the Bay of Pigs. No one is going to be bothered about that questionable cult of weirdos in that run down warehouse while more countries are turning communist. Those strangely ritualistic killings were clearly an ordinary psycho, probably a commie to boot. I was too young to see it back then, but in retrospective there were strange goings on. It could be reasonable to say it was a child’s delusion, but i’m certain of it, even now. Obviously no one is going to investigate any strange killings or disappearances when there are commies to persecute. I never believed the propaganda anyway, didn’t listen to what the teachers had to say about the soviets. Why should i care right? In fact i have a perfect example of what I’m trying to say. When i was 8 i had a friend called Bruce Piper. This must of been 1978, i suppose. Even at such a young ages, he was really interested in girls. He had a string of “relationships”, if they can be called that, with several girls at our school. Around this time, a new student came, her name was Angela Bouferce. She was a very beautiful girl, but not the normal kind of beautiful. She was that very unearthly kind of beautiful, like a plastic doll, with the dull, emotionless voice to match. Well, needless to say, Bruce was all over her. She seemed to respond well, i suppose. The school was still in an uproar about the cold war and seemed to try and brainwash the kids to hate soviets, including myself. It was a very anti-red school. This was nothing more than a backdrop for a horror story though. Oddly i seemed to be the only one to notice anything out of the ordinary about this Angela girl. The awkward way she pronounced the simplest of words. The strange way she walked, as if with great difficulty. I was like a sighted person in a crowd of the blind, I’m the only one who can sense the lion coming in for the kill. Bruce didn’t seem to care or notice. They still swooned over each other. Needless to say, it wasn’t to last. You may think that they would just split up right? Kids do that all the time right? In this case they didn’t split up, but one didn’t make it. Love kills and all that. One day i went to the bathroom during break. I can’t seem to stomach the thought of what i saw. The meaning of this message still eludes me. And who was standing over what was left of my friend? Who else but an equally messy Angela. She had a knife. As you can imagine i was about to bug out of there. However, she didn’t come at me. Instead she rose a few feet into the air, her legs hanging loosely and arms up at awkward angles, as if held by an unseen puppet master. Her face was gaunt and expressionless, tilted to one side. As quickly as this happened, she vanished before my eyes. Back to the shadows. I ran to get help but Bruce was already long gone. The Media jumped all over the case, saying the message on the wall was some kind of soviet code to begin some imagined uprising. I knew the truth of course. But it illustrates my point: people are more likely to listen to sensationalism than consider the possibility of the supernatural. I tried to explain what i saw of course, but the school just said i was disturbed by the death of my friend. People were more than willing to believe the stories in the newspapers. Who would listen to an 8 year old kid? Yes, the commies did it obviously, there’s no other explanation, foolish tards. Well, that’s enough ranting for now, i think. Consider what i have said.